- Sarah's first introduction to Pilates was 2 private reformer and Cadillac tower lessons to learn the basics. - From there, she took 6 months of weekly 'group reformer 'and tower classes. The class sizes were small (4 students each on their own machine). - After 6 months she added mat classes from another studio in a lunchtime near her work. Her first mat class was 'beginner level mat', Sarah said she would have understood 'The Method' so much less if she had only worked on the mat. 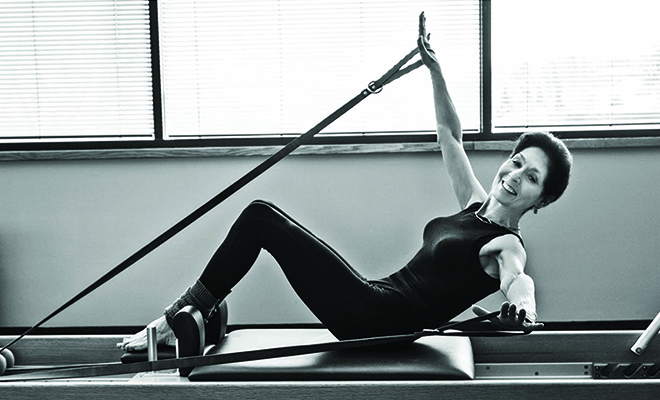 Sarah believes that with the reformer and tower she developed better awareness of her deep muscles. The instability of the moving platform taught quickly which core muscles to activate for balance and stability, whilst the aid of the springs, roll-down and push through bars on the tower allowed her to focus on correct form without gravity making the exercise too difficult. - Now Sarah takes advanced mat classes, which she really enjoys but feels that the machines taught her to control the exercise and focus on the purpose of the exercise far more. - Others in the class recognise the control that she has in her movement and state that they wish they had access to apparatus in their early days. Joseph Pilates would have totally supported Sarah's findings as he developed equipment in order to improve performance on the mat. 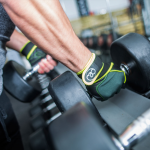 The combination of apparatus and mat exercises were designed for a seamless approach to reach a desired outcome. Treating apparatus as an advancement of the mat was definitely not what Joseph Pilates taught, he would not have seen this as a results oriented approach. Lonna Mosow, a veteran Pilates instructor from Minnesota USA, who opened her first Pilates and Mind-Body studio in the 70s (who also teaches two MBodies modules, 'The Art of Teaching The Art of Joseph PIlates' and 'Pilates Program Design & Progression'), is saddened by the lack of understanding of so many Pilates matwork only teachers - who have missed the chance to discover 'The Method' within the repertoire and as a result teach Pilates repertoire as opposed to 'Pilates Method' - when we last chatted we reflected that there are no more benefits to this than teaching 'Legs, Bums and Tums' in the 1980s and 1990s which offered quite similar repertoire on the mat without the 'focus' on goal detail and form. 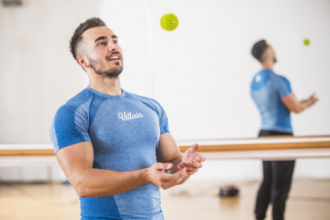 So, why is it in the UK and Europe so few Pilates instructors have learnt their trade on equipment, and as a result cannot offer their clients the benefits of a complete Pilates programme? 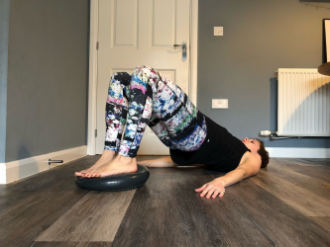 REPS Standards, which recognise Pilates matwork, but do not recognise Pilates apparatus, have developed an impression Pilates is matwork, and apparatus is for medical and clinical Pilates practitioners. Move up a level to the tutor of a Level 3 Pilates instructor course and the requirements do not need an instructor trainer have ever experienced Pilates on apparatus; therefore there is no encouragement within courses or Pilates schools to see training on apparatus as a part of a journey to discover the complete 'Pilates Picture'. Joseph Pilates opened his studio in New York, and the majority of his followers came from the North American Continent, therefore it comes as no surprise that Pilates apparatus has been traditionally manufactured on the same continent as the majority of the customers. Unsurprisingly in the 1990s and 2000s purchasing equipment from America or Canada, then organising, paying costs of sea freight and import tariffs before VAT, was very expensive - it was 60% more expensive when I bought my first Stott Pilates studio in the 1990's than ifI had been a Canadian instructor! Similarly, Pilates instructors in Europe who wanted to experience 'The complete Pilates education'were very limited in their choice of where to learn in Europe - and it is a well-known fact that; where there is more demand than provision, the power is in the hands of the supplier and premium prices can be charged. 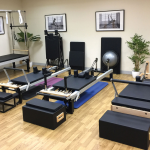 Expensive equipment plus expensive training combined with UK standards and Instructor Trainers on associated 'Pilates matwork' courses who do notsufficiently understand 'The Method' and the importance of Pilates apparatus as tools in the hands of the Pilates artist. It is no coincidence that when we compare the UK with USA - less than 25% of Pilates instructors have ever experienced themselves Pilates apparatus whilst in the USA more than 75% of Instructors are apparatus qualified to one extent or another. Changing the Industry Standards is a 'Chicken and Egg' situation and it seems clear that until it becomes attractive and affordable to train as a Studio instructor and to be educated in a 'smart' way, with a chance to quickly return a good living on the purchase of Studio equipment - there will be insufficient studio provision or 'lobbying' of the industry to change its standards to recognise Pilates as an integration of apparatus and matwork exercises. In late 2010 Industry Award winning Fitness, Yoga and Pilates retail accessory supplier The-Mad-Group teamed up with Mbodies Training Academy to substantially change the economics of both training as a Studio instructorand establishing a Studio Pilates business. The goal at that time was to create the same environment in Europe that existed in America - which allowed rapid return on investment when developing a studio business. 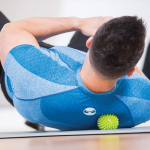 The strategy was to create a range of UK designed Pilates equipment ; of equal, or better, build quality to the North American imported equipment, selling directly to clients , whilst facilitating distributors outside the UK to sell at similar pricing.This would create a ‘Best Value High Quality' proposition. In addition brainstorming and instructor focusedinnovation in the provision of Studio Training commenced :to ensure the same high quality of training as the leading Pilates schools with existing matwork trained students, perhaps for the first time, understanding 'The Method' within the repertoire - helping them to become 'Studio Pilates Artists'.